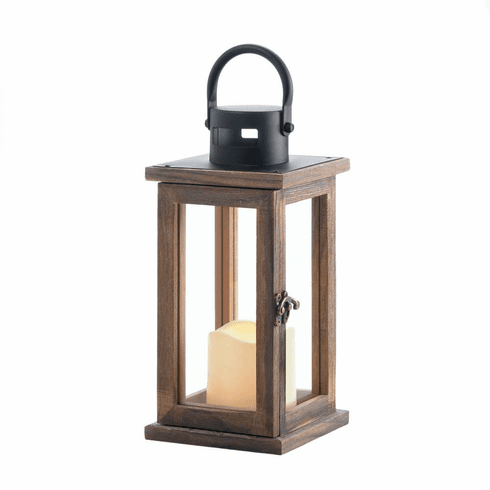 Light up the night anytime with this rustic wooden lantern that's filled with a modern LED-powered candle. Simply switch it on and you'll enjoy the candle-like glow this lantern spreads across the room. Weight 2 pounds. 5" x 5" x 10.8". Pine Wood, Glass, Iron. LED Light. UPC Number: 849179034979.